Today I ring in the big 3-1. No longer am I merely 30, but I am in my 30’s. So weird, especially since I still don’t really feel too much like a grown up ;-) And as I like to do every year, I baked something new and different to celebrate with. It sort of reminds me of being a kid when you’d bring treats to school to share with the class on your birthday (did anyone else do this?). This is me bringing treats in for the class and sharing with all of you :) Since today I am en route to a Florida vacation with my Chief Culinary Consultant (woo! ), I baked up my birthday treat earlier this week. Almost without fail, I always make some sort of cheesecake for my birthday (the Oreo Cheesecake and Peanut Butter-Fudge Cheesecake being my favorites), but this year I decided to try something different, and wow! So glad I did! Next to cheesecake, tiramisu is one of my all-time favorite desserts. When I was younger, if I wasn’t going to the Olive Garden for the Andes mints, I was going for the tiramisu. I first made a homemade tiramisu a few years ago, and I was totally hooked. 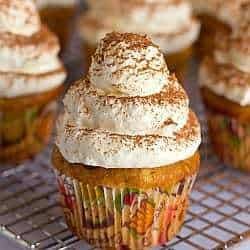 I don’t make it very often (it’s such a decadent/special occasion type of dessert), but when I saw these cupcakes I thought they were the perfect way to get the tiramisu flavor I love without making an entire pan. Plus, everyone loves cupcakes nowadays, right?? And now I am on an official boozy cupcake kick! 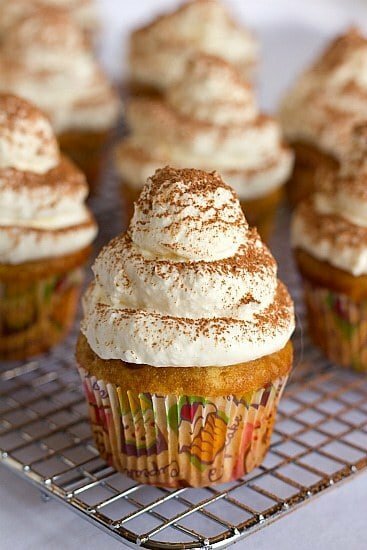 These cupcakes are absolutely, insanely delicious and really taste just like tiramisu! I was wondering how much the authentic flavor would come through, but it totally does. 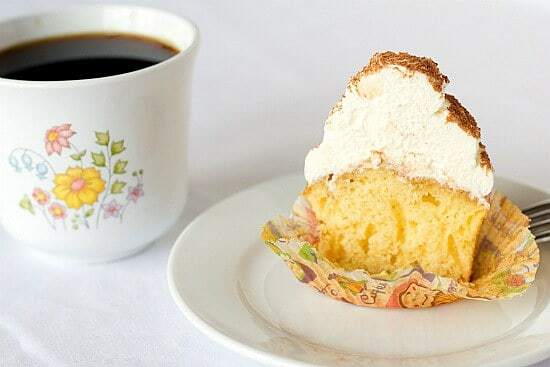 The vanilla bean cakes are brushed over and over, and over, with an espresso and marsala wine mixture so that it soaks through the cupcake. Then they’re topped with a mascarpone cheese frosting and dusted with cocoa powder. Happy birthday to me, for sure! 1. Preheat oven to 325 degrees F. Line standard muffin tins with paper liners. Sift together cake flour, baking powder, and salt. Heat milk and vanilla-bean pod and seeds in a small saucepan over medium heat just until bubbles appear around the edge. Remove from heat. Whisk in butter until melted, and let stand 15 minutes. Strain milk mixture through a fine sieve into a bowl, and discard vanilla-bean pod. 3. 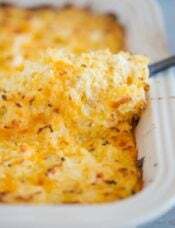 Gently but thoroughly fold flour mixture into the egg mixture in three batches; stir ½ cup batter into the strained milk mixture to thicken, then fold milk mixture into the remaining batter until just combined. 5. Make the syrup: Stir together coffee, marsala, and sugar until sugar is dissolved. Let cool. 6. 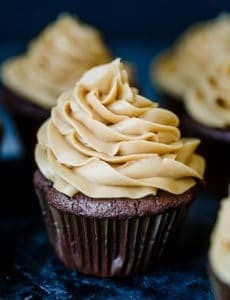 Brush tops of cupcakes evenly with coffee-marsala syrup; repeat until all syrup has been used. Allow cupcakes to absorb liquid 30 minutes. 7. 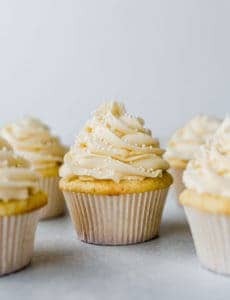 Make frosting: With an electric mixer on medium speed, whisk heavy cream until stiff peaks form (be careful not to overbeat, or cream will be grainy). 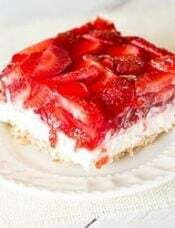 In another bowl, whisk together mascarpone and confectioners' sugar until smooth. 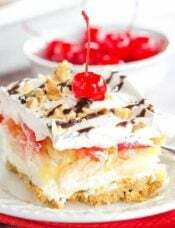 Gently fold whipped cream into mascarpone mixture until completely incorporated. Use immediately. 8. 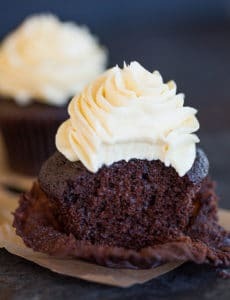 To finish, Dollop frosting onto cupcakes; refrigerate up to overnight in airtight containers. Dust generously with cocoa powder just before serving. Hi Xenya, Yes, regular altitude. 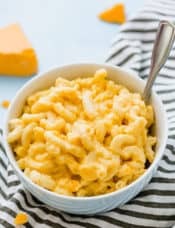 I was super exited to try this recipe, but unfortunately was very disappointed after making it. 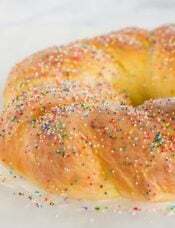 I tried it twice and both times I opened the oven to sunken middles, gummy tops, and a crispy rim. At first a thought I wasn’t careful enough so I retried. After following the recipes perfectly I still came back to the same results. The taste was great, but everything else about the cake was a little sketchy. Frosting and syrup were both great. On any other day this would have been fine. Unfortunately, I had made these cupcakes the night right before I needed them. I was making them for a very close friend’s fundraiser and not getting them right put lots of stress on me. Sorry for the negativity, but was very disappointed. 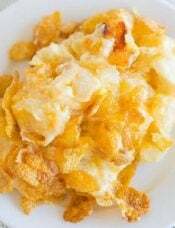 Hi, thanks for sharing the recipe. I just made these and they turned out like sponge cakes. Are they supposed to be that way? Thanks. Hi Violet, Yes, that’s the correct consistency. Thanks for the site. I trust it and use it so much! Hi Mitch, Thank you! You could use rum if you’d like. 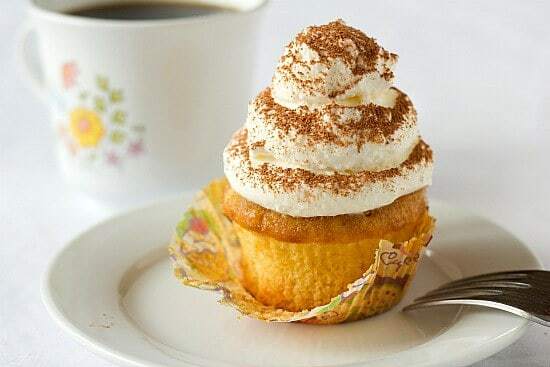 These Tiramisu cupcakes taste exactly like the real thing! I followed the recipe exactly except I used vanilla bean paste instead of the bean. I admit that it was a little more work than I had anticipated but was totally worth it. I have made so many cupcakes from the BEB and they ALWAYS deliver; this is my go-to site whenever I want to make something new. Michelle you actually test your recipes unlike so many books and food channel sites. I’ve made the Kentucky Derby Pie Cupcakes, Red Velvet, Limoncello, Dark chocolate w/ Sunbutter frosting, and now Tiramisu – all with great success! Thanks again for sharing this great cupcake recipe. Hi Erika, I think that should work okay; I would use the same amount. Oh my Goddess.. These look divine! Cannot wait to make these! I love these cupcakes! It’s an ingenious idea to make cupcakes out of an amazing dessert. The only thing I will modify next time is the actual cake recipe. I totally get wanting to have a spongecake for the base, but it’s too thick to absorb all the coffee liquid (it’s not a ladyfinger! ), and is dry as a result. I will bake a more moist cupcake base next time and I think it will be perfect. Note: This recipe only yielded 13 standard-sized cupcakes for me and baking them for 20 (even 18) minutes was way too much; I would recommend checking the doneness after 14 or 15 minutes while baking only a dozen. Next time I might try closer to 300 degrees in the oven as well since maybe the custard batter is a bit more delicate. After spending all that time making the batter it’s a bummer when they come out tough and overbaked :( Absolutely delicious recipe, though, and I will certainly try it again soon! One suggestion for these cupcakes- spray the muffin liners with cooking spray to help them release when eating. They will stick a bit otherwise. Also I found this recipe yielded 21 cupcakes. I also used more mascarpone cheese than the 8 oz because I like to have a good amount of frosting for my cupcakes.